Brother A Japanese Yakuza gangster’s deadly existence in his homeland gets him exiled to Los Angeles, California, where he is taken in by his little brother and his brother’s gang. This is the first English film by Takeshi Kitano. Scary Movie A year after disposing of the body of a man they accidentally killed, a group of dumb teenagers are stalked by a bumbling serial killer. Reindeer Games After assuming his dead cellmate's identity to get with his girlfriend, an ex-con finds himself the reluctant participant in a casino heist. Romeo Must Die Two warring gang families (one African-American, the other Chinese) maneuver for bragging rights to the Oakland, California, docks. Hang Sing and Trish O'Day uncover a trail of deceit that leaves most of the warring factions dead … or worse! Under Suspicion A lawyer is asked to come to the police station to clear up a few loose ends in his witness report of a foul murder. "This will only take ten minutes", they say, but it turns out to be one loose end after another, and the ten minutes he is away from his speech become longer and longer. Ordinary Decent Criminal Michael Lynch is a notorious criminal with two wives and a flair for showmanship. He's also a huge embarrassment to the local police, who are determined to bring him down once and for all. Mission to Mars When contact is lost with the crew of the first Mars expedition, a rescue mission is launched to discover their fate. 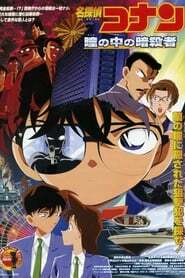 Detective Conan Movie 04: Captured in Her Eyes Police officers around Tokyo are being murdered by an unknown assailant. When Ran witnesses an attempt on the life of one of her friends in the police, she loses her memory. Now, Conan and Inspector Megure must find the murderer while Ran attempts to regain her lost memories. Bangkok Dangerous The movie is about a deaf-mute hitman and his partner. Trouble begins when he starts a relationship with a young woman. Dungeons & Dragons The classic role-playing game comes to life in this magical adventure. The empire of Izmer is a divided land: Elite magicians called Mages rule while lowly commoners are powerless. 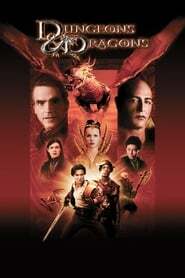 When Empress Savina (Thora Birch) vows to bring equality and prosperity to her land, the evil Mage Profion (Jeremy Irons) plots to depose her. But this good-vs.-evil battle is no game! The Cell A psychotherapist journeys inside a comatose serial killer in the hopes of saving his latest victim.